Fort Carre was built in the second half of the 15th century on the orders of King Henry 2. 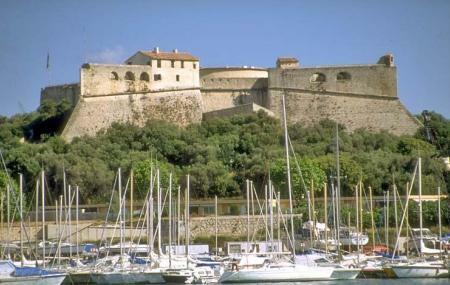 The fort is witness to the history of the most fought over region of Antibes. If you choose to take a walk down the history lane of the city of Antibes and glance through the work of Marquis de Vauban, Fort Caree is a much recommended Attraction. Other contact number is +33 614891745. Entry for tour guide is free. Discounts are available for a group of 15 and more persons. How popular is Fort Carre? People normally club together Musee Picasso and Le Nomade while planning their visit to Fort Carre. Should invest in training better their guides. Despite so it is a nice place for pictures, and cheap to visit. Seems well maintained. Excellent spot for a great view of the bay and the town of Antibes. The fort is surrounded by a great park full of local flaura and fauna and is definitely worth a visit on a less warm day in the area. Great place to visit. €3 per adult gets you entrance and a very interesting guided tour of the place, which takes about 30 minutes. You may need to wait a little while for the next tour to start and whilst there are a few locations you can look around whilst waiting, do be prepared to wait once you've exhausted those. Note that you *have* to take a tour to go around the vast majority of the fort: you can't just wander round unaccompanied. Guided tour was delivered in both French and English (after the guide checked who spoke what) and was excellent. The fort itself has a lot of interesting history, and the views from the top, of Antibes, Nice, and - on a clear day - Italy, are well worth the trek up the hill. Be sure to take water if it's a hot day: you may be there an hour, and it's exposed.